SYRACUSE — Syracuse Redevelopment Commission Monday, March 18, elected its officers and approved TIF plans and expenditures to improve the technology park on the city’s north side. The meeting was the first of the year for the commission. The Syracuse commission oversees three tax incremental financing districts: Syracuse; Oakwood; and South Benton, a 240-acre TIF district originated in Elkhart County that includes the 62-acre Syracuse Technology Park. One requirement is annual approval or modification of a political subdivision’s existing TIFs. Another involves affirmation no excess funds are being held. DeJulia moved to approve the city’s three TIFs and verify they have generated no excess funds. The motion was passed unanimously. The commission also unanimously approved the expenditure of $20,000 to improve a waterline in the technology park and up to $2,000 to replace the sign that was destroyed by recent winds. In other business, the commission discussed its 2019 meeting schedule. The members expect to meet at least twice this year, with the second meeting to take place in September. Quarterly meetings were suggested, if justified by sufficient agenda items. April 1, the treasurer must file a financial report with the commission. 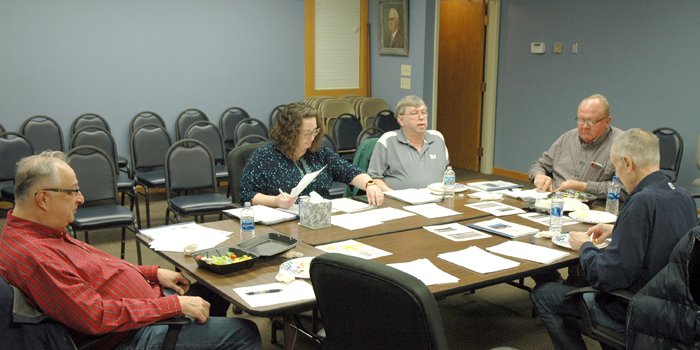 April 15, the commission must file a report of its previous year’s activities, including financial information for each TIF, with the town council and county commissioners and submit a copy to the state’s department of local government finance. June 15, the commission is obliged to notify the county auditor, town’s fiscal body and each TIF taxing unit of use of TIF funds in the following year’s budget and potential release of excess assessed value. Beginning this year, the commission is also responsible to prepare an annual presentation to be given to all taxing units in its territory. The presentation must include the budget for revenues from each tax allocation area, long-term plans for each area and the impact of each allocation area on each taxing unit. TIF money is primarily used for infrastructure but can also be allocated to the purchase of buildings where appropriate. No date has been set for the commission’s next meeting.